Have you watched all categories, and you will not find the right kitchen equipment you're looking for? In the other catering and kitchen appliances from XXLhoreca guests can benefit from the latest generation of gas barbecue brand Hendi and durable kitchen products include Bartscher-use folding tables or the latest blenders and milk shakers. These are kitchen appliances that you can trust. Home or in the professional kitchen at All our gas barbecues and folding tables are all from top brands catering manufacturers, known for their practicality and high quality materials. 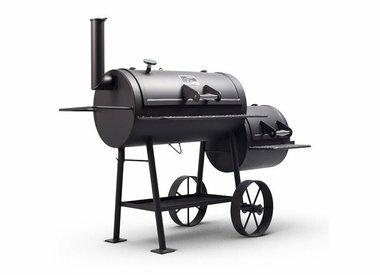 The gas barbecues Hendi are made of high quality chrome or stainless steel and have an electronic ignition and pressure regulator. For the professional kitchen Hendi designs multifunctional gas barbecues and grills with multiple burners so that you always have enough capacity. The smaller gas barbecues and powergrills are also very suitable for use at home on a typical summer evening. Easy to move and set up quickly, these gas barbecues and grills, depending on the product, within 48 to 72 hours available and are easy to clean. And if you want to work on a patio or a party in the garden? The foldable tables and benches party Bolero and Saro you have a snap of the most beautiful and functional furniture. In different colors and equipped with 1 year warranty. Besides the various gas grills and folding tables XXLhoreca also offers a wide range of blenders and milk shakers, in large catering kitchen as suitable both for home. What about double blender Bartscher that allows you to make easy cocktails, sauces and smoothies See the entire range blenders and milk shakers and make your choice. Learn more about gas barbecues or blenders of XXLhoreca? Please contact our catering experts via 075-6151433.